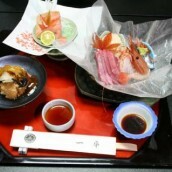 Vinegar and miso dressed foods. A real treat in fishing villages. 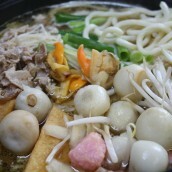 Kake-ae refers to dressing whatever ingredient in a miso and vinegar dressing. 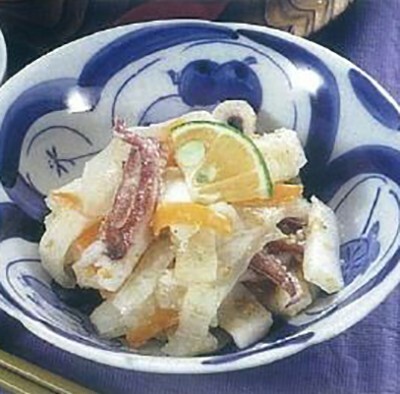 According to season, that ingredient may be squid, fish, daikon radish or cucumbers. 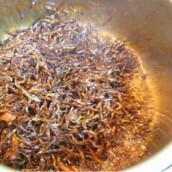 It is eaten throughout the year as everyday food. 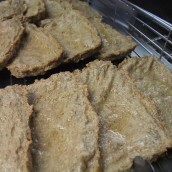 This dish was considered a treat for fishing villagers and special versions served during festival time, making a name for itself across the prefecture. Remove squid guts and blanch in hot water before slicing. Slice cucumber and carrots to 1 cm batons. Rub with salt. Grind sesame seeds in pestle and mortar. Add miso, sugar then vinegar (in that order) then add 1 and 2.